It’s Friday. Or Wednesday. Or Tuesday afternoon. And my colleagues and I are on our way to the Paine Centre, VIU’s 32-acre horticulture facility. 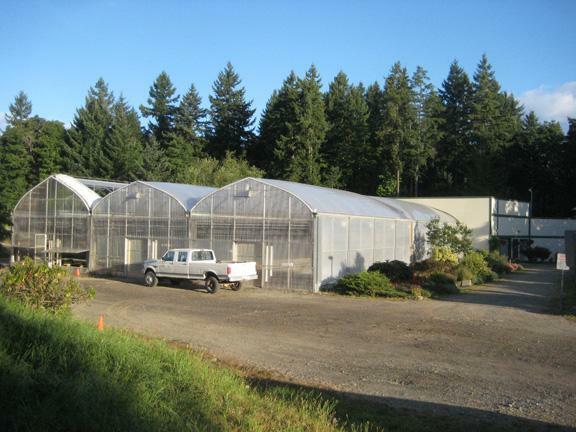 A quick 10-minute drive from the main campus, past a winery and a honey farm, the Paine Centre is located in an agriculture area of Nanaimo. 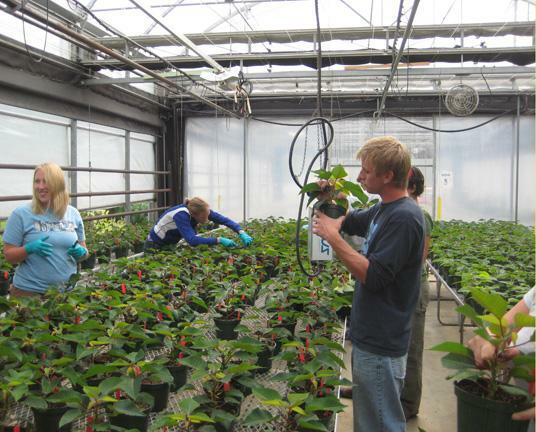 The facility includes 7,000 ft. of “Harnoise Nordique” style greenhouses, 10,000 ft. of headerhouse, a classroom, a lab and acres of land to dig into, get dirty with and learn on. 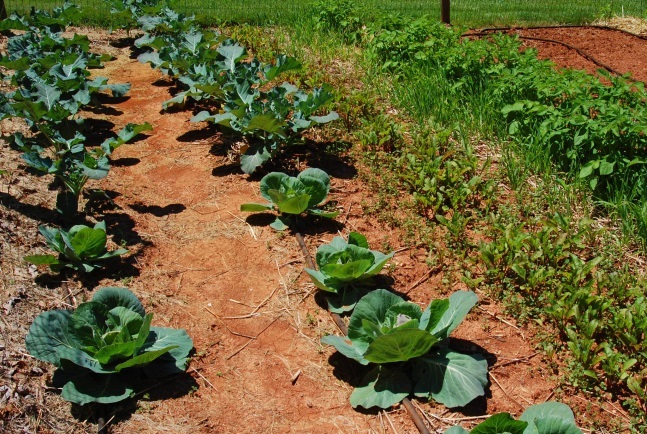 Students are often outside when we arrive, with sleeves rolled up and hands in the dirt. Sometimes faculty are alongside them, guiding and discussing, but sometimes students are alone, heads down, digging into the earth. When we arrive, we interrupt their flow, obnoxious tires crunching over the gravel. But they look up and wave. They’re getting used to us. I enjoy coming out here, and getting away from the stacks and the crowds and the noise. But I also enjoy coming here because this project, and this team, highlights for me many of the meaningful and satisfying aspects of my work as an educational developer. Retreating to the Paine Centre is like that glorious moment when you get out of a traffic jam. The Centre for Innovation and Excellence in Learning (CIEL) has recently partnered with the Faculty of Trades and Applied Technology to embark on an ambitious six-year project committed to enhancing teaching and learning in the 16 trades currently offered at VIU. I’ve been asked to led the Horticulture project, along with Marilyn Funk and Sally Vinden. Marilyn is an educational developer seconded for a two-year term at the CIEL from the Faculty of Science, and Sally is a faculty member in VIU’s hairdressing program. Sally participated in the pilot project that lead to this massive curriculum project and her role is to support us navigating the discourse and the culture of the Trades. Together, we are a dedicated triumvirate committed to guiding, supporting and learning alongside our Horticulture team. I don’t know much about Horticulture. I have killed more plants in my garden than I care to admit. I’m vaguely ashamed of this, but I carry on, and try not to let on at the Paine Centre just what a dum-dum I am. At the same time, I acknowledge my shortcomings to myself, and humbly remember that I’m not a content expert here. They are. And we need to honour that in our work. Marilyn, Sally and I are here to listen and ask good questions, add what we can from our expertise to theirs, and ultimately work together with the faculty to determine a way forward. It is projects like this where faculty development requires authenticity, humility and keen listening skills. We do our best to win them over early on, letting them know that we’re not all that scary. Truthfully, it’s remarkable how little faculty sometimes know about us. We want them to know that we’re not charging in with a furrowed brow intent on pointing out deficits and forcing them to align with some new educational paradigm. We wade carefully, and unpack ourselves as the not-so-intimidating, friendly, plant dummies that we are. Or I am. Marilyn and Sally actually can name all the trees in their backyards (showoffs). We try to imagine what it feels like to be a seasoned faculty member that has been asked to make time in their already overloaded calendars to entertain three curriculum specialists who have been brought in to “enhance” the curriculum, whatever that means. We really try to imagine all of this, from a place of empathy, and structure our conversations and approaches carefully. It takes time. We meet students when and where we can, sometimes outside with small shovel-like tools, and discuss the program from their perspective. We also arrange focus groups. After a few initial meetings at the Paine Centre, we’re invited to observe classes. Observing classes gives us yet another perspective on the program. In the end, it takes a few months of engaging in these ways, through discussions, observations, and document analysis, with the faculty and the students, from a variety of angles, the planned and the lived, before we have established the kind of understanding we want, but also a level of trust and relationship that will be a stepping to stone to facilitating change. We know that we want the change to come from within, and these steps and this slow approach helps empower our team early on. • experimentation with “team-based” strategies in classes. I could go on. Our role was to work as an integrated team to help uncover gaps and suggest small changes to close those gaps based on our collective knowledge and expertise. Projects such as these, ambitious like this, with multiple stakeholders and complex layers do not always go so smoothly but I wanted to capture this one at this moment because it represents the amazing results that can happen when it all comes together: commitment, communication, empathy, expertise, trust and openness to change.